Find Your Missing Dog WithContxt! 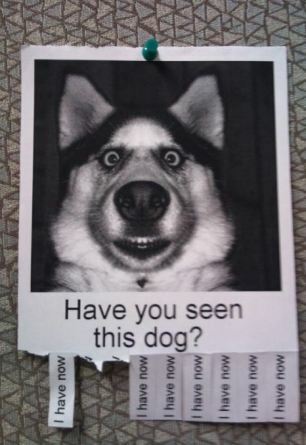 Post Your Missing Dog Here! WithContxt is devoted to our four legged best friends. Let's use the power of WithContxt to find your missing dog! Is this YOUR dog? Is he or she fixed? Is he or she aggressive toward people? Do you really want him or her back? Have you contacted your local government's pertinent services? Are you a WithContxt user?